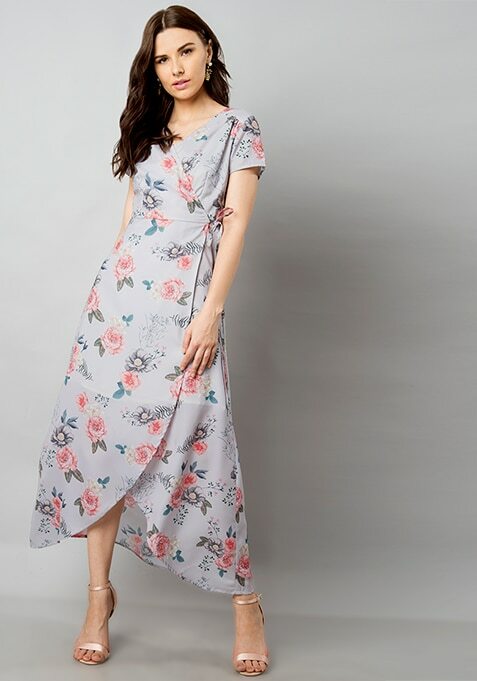 Embrace summer with this lilac georgette maxi dress that is uniquely designed to cater to style conscious divas. Features wrap front and hook and eye closure. Work It: Pair it with heels and wear subtle make-up to look gorgeous.